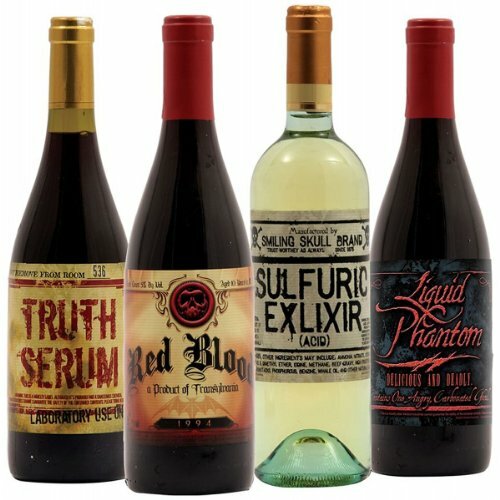 The Halloween Wine Bottle Label Replacers. 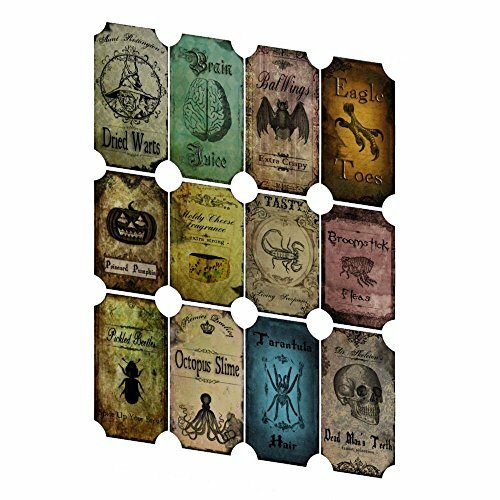 Set features set of 8 stickers. . Get your Halloween Accessories today! 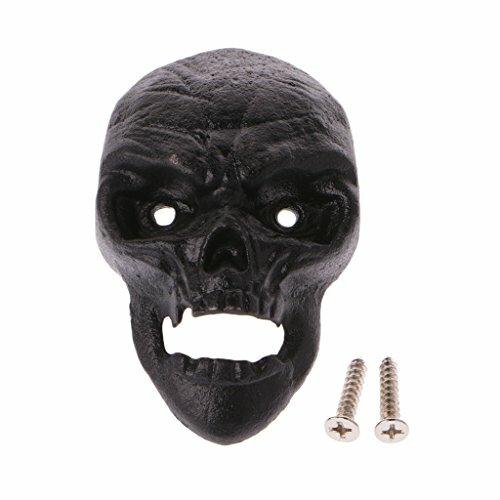 A great touch for a Halloween party. 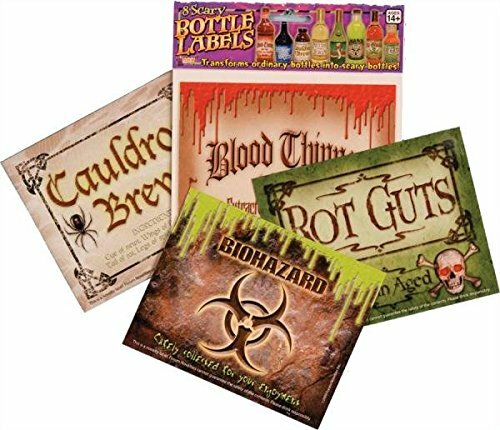 Remove the labels from the beverage bottles you will be serving and replace them with these spooky ones! Works for regular or two-liter containers. 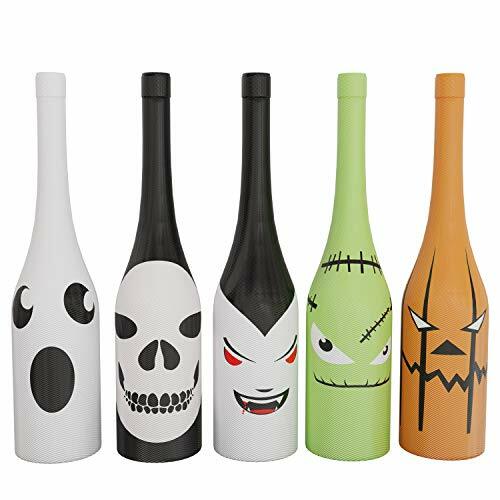 Halloween Wine Bottle Cover & Decorations Unique Holiday Wine Decor Set of 5 Halloween Designs Stretches to fit MOST sizes of Wine Bottles Perfect Halloween Wine Gift for the Wine Lover in your Life! 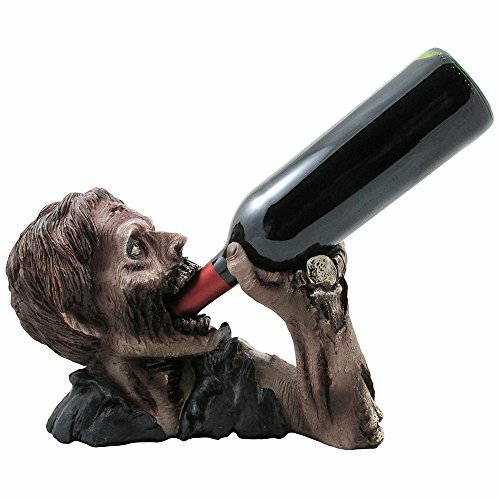 A frightening Halloween party decoration, this zombie wine bottle holder is sure to become a classic fright night masterpiece! 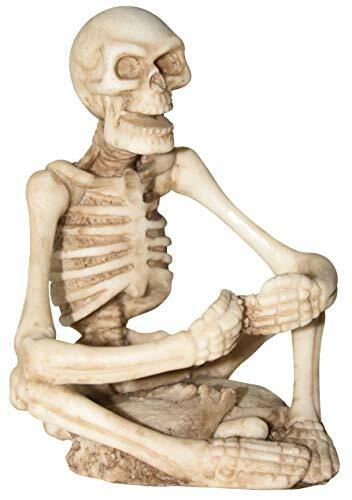 This ghoulish sculpture is intricately detailed and finely crafted to give it a scary, lifelike appearance that will give your party guests an eerie feeling inside. 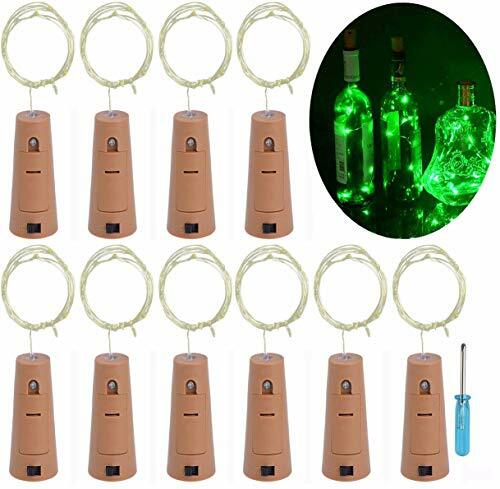 Also makes a great whimsical Christmas gift idea for wine lovers and collectors of medieval and gothic décor statues.